Victor Harbor is a town in South Australia on the south coast of the Fleurieu Peninsula, about 80 km south of the centre of Adelaide. On the 27th (Fri), get to know the resident critters at Urimbirra Wildlife Park, then enjoy the sand and surf at Horseshoe Bay, and then head off the coast to Granite Island. To find maps, other places to visit, reviews, and other tourist information, read our Victor Harbor trip itinerary app . London, UK to Victor Harbor is an approximately 28-hour flight. Due to the time zone difference, you'll lose 9 hours traveling from London to Victor Harbor. When traveling from London in December, plan for warmer days and a bit warmer nights in Victor Harbor: temperatures range from 30°C by day to 17°C at night. Finish your sightseeing early on the 27th (Fri) so you can travel to Kangaroo Island. 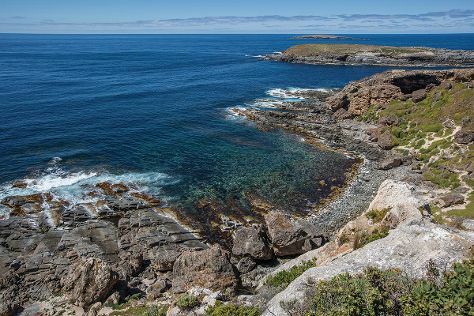 On the 28th (Sat), look for all kinds of wild species at Flinders Chase National Park. Get ready for a full day of sightseeing on the 29th (Sun): look for all kinds of wild species at Raptor Domain, then identify plant and animal life at Seal Bay Conservation Park, and then enjoy the sand and surf at Stokes Beach. To see more things to do, photos, reviews, and tourist information, you can read our Kangaroo Island trip builder app . 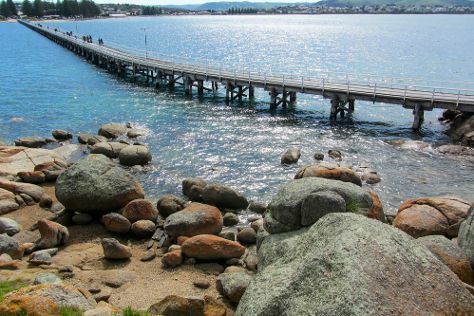 You can do a combination of car and ferry from Victor Harbor to Kangaroo Island in 2.5 hours. Another option is to do a combination of bus and ferry. Finish your sightseeing early on the 29th (Sun) so you can travel to Port Lincoln. On the 30th (Mon), meet some fierce fish with a shark diving experience. To see traveler tips, reviews, ratings, and other tourist information, use the Port Lincoln tour itinerary builder website . Traveling by flight from Kangaroo Island to Port Lincoln takes 3 hours. Alternatively, you can do a combination of car and ferry; or do a combination of taxi, ferry, and bus. Finish your sightseeing early on the 30th (Mon) so you can travel to Mount Gambier. 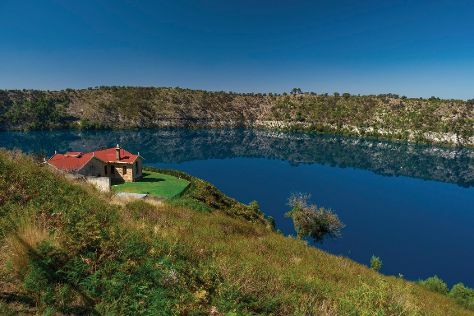 On the 31st (Tue), get lost in a book at Mount Gambier Public Library, then take in the dramatic natural features at Umpherston Sinkhole, then contemplate the waterfront views at The Blue Lake, and finally stroll around The Railway Lands. For more things to do, ratings, traveler tips, and more tourist information, you can read our Mount Gambier online trip itinerary planner . Traveling by flight from Port Lincoln to Mount Gambier takes 3.5 hours. Alternatively, you can drive. In December, daytime highs in Mount Gambier are 27°C, while nighttime lows are 11°C. Finish your sightseeing early on the 31st (Tue) so you can travel to Adelaide. Go for a jaunt from Adelaide to Hahndorf to see The Cedars about 30 minutes away. Dedicate the 1st (Wed) to wine at some of the top wineries in the area. Next up on the itinerary: take in nature's colorful creations at Adelaide Botanic Garden, don't miss a visit to Rundle Mall, appreciate the history behind The Rundle Mall Pigs, and meet the residents at Adelaide Zoo. For maps, where to stay, reviews, and more tourist information, read our Adelaide visit planning tool . You can fly from Mount Gambier to Adelaide in 3 hours. Other options are to drive; or take a bus. Plan for somewhat warmer nights when traveling from Mount Gambier in December since evenings lows in Adelaide dip to 17°C. Wrap up your sightseeing on the 4th (Sat) early enough to travel back home.